Chris specialises in proceedings relating to children whether public, private or international. He is regularly instructed – both in his own right and as a led junior – by local authorities, parents, guardians and other interested parties at all levels including the Family Court, High Court and Court of Appeal. Chris has been involved in a number of high profile cases concerning contested adoption, the relinquishment of children and risk of radicalisation and his work was recognised as Family Law Junior Barrister of the Year at the Jordan Publishing Family Law Awards 2016. 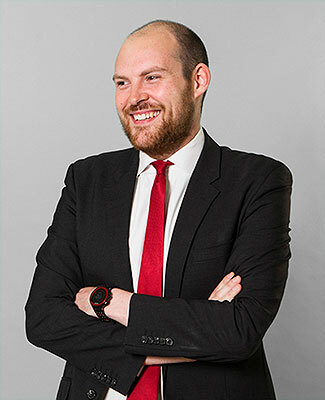 Chris’ practice covers the full range of cases concerning children whether in the course of local authority initiated proceedings or in private applications. His practise encompasses cases of the utmost gravity – including sexual abuse and serious inflicted injuries – alongside those with novel or contentious legal issue. He brings his experience, sensitivity and commitment to bear in ensuring that his clients – whether parents, professionals or others – are supported and represented through the litigation process. Chris has been at the forefront of a number of cases concerning the risk of radicalisation in a family law context and has experience of representing both local authorities and parents. He was instructed in one of the first cases to use wardship in the context of teenage girls said to be at risk of travelling to Syria. He has an extensive knowledge of the issues involved as well as experience of contested applications concerning disclosure of sensitive material and reporting restrictions. In his work relating to adoption Chris has been instructed in a number of contentious adoption application and has been involved in long-running adoption proceedings, acting for a father seeking the rehabilitation of his daughter, heard by the President over 3-weeks following two hearings in the Court of Appeal. He has also developed a specialism in cases concerning relinquished infants where he has acted for, and advised, local authorities as well as having represented family members. Chris is a reviewer and undertakes work for the Bar Pro Bono unit and is committed to ensuring that where his clients may be more vulnerable – by virtue of language, disability or geographical location – are properly protected and represented before the Court. Chris writes and lectures regularly with a particular focus on public law proceedings, adoption and radicalisation. A well-respected junior who is increasingly well versed in matters concerning the overlap between public law and international children issues. He has experience in cases involving contested adoption and relinquished children. He enjoys particular renown for his work in radicalisation cases, and often appears in the High Court. Recent work: Represented the local authority in proceedings concerning the risk of radicalisation with regard to a mother and baby who had just returned from Syria. A well-respected junior who is increasingly well versed in matters concerning the overlap between public law and international children issues. He has experience in contested adoption, relinquished children and radicalisation cases.